We were not able to digest milk after weaning until a genetic mutation allowed us to digest milk after we are weaned. The mutation that allowed some humans to digest milk into adulthood first appeared in Hungary about 7,500 years ago. We still see evidence of this genetic change today, in the fact that ~ 75% of humans are lactose intolerant. 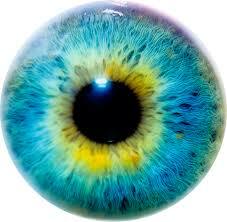 A genetic mutation took place about 6,000 years ago that caused blue eyes. People living at altitudes above 10,000 feet in the Himalayan highlands, have blood that carries more oxygen. They are not needed now that we cook our food. This mutation evolved about 3,000 years ago. This prevented wisdom teeth from growing at all. The appendix was used to secrete digestive enzymes that were needed to break-down our previous diet of cellulose-rich plants. The pili contract involuntarily when the mammal is either cold or feels threatened. This acts to keep the animal warm and to increase the size of its appearance to ward off danger. Darwin described evolution as a process of "Natural Selection" in which traits that led to a species increasing its probability of mating and creating healthy offspring, would persist in the population for future generations. The result would be adaptation, (evolutionary modification) of a population that improves each individuals’ chances of survival and reproductive success in the environment occupied by the population. Darwin established that all species of life have descended over time from common ancestors. Natural Selection = The genetically inherited trait that increases the survival of that species would persist through the process of evolution by NATURAL SELECTION. Adaptation = The genetic trait that evolves from this process increases the probability that the species will survive in that particular environment is called an ADAPTATION. The evolution of the peppered moth is a classical example of evolution due to natural selection. These moth's resided in London in the 1800's during the Industrial Revolution. At the beginning of the 1800's there were more light-colored Peppered Moths than dark-colored Peppered Moths. These moths would rest upon trees with white bark. The dark-colored moths were easier to spot against the light backdrop of the white tree bark and consequently were eaten more often by hungry predatory birds. The light-colored Peppered Moths camouflaged against the light-colored trees and were much more prevalent in the population. By the end of the 1800's the light-colored trees became dark to the extensive pollution (soot deposits), causing most of the light-colored moths to be more visible to predators and, therefore, caused a shift in the population of moths in which dark-colored moths became more common. Evolution - is a change in gene frequency within a population over time. A mutation could cause parents with genes for green coloration to have offspring with a gene for orange coloration. A mutation is a change in DNA due to damage or a replication error. the effects can be positive. negative or the mutation can have no effect at all. Let’s say something occurred in one generation, that just so happened to kill many of the green beetles in a population. The result would be that the next generation would have a few more brown beetles than the previous generation — but just by chance. These chance changes from generation to generation are known as genetic drift. #1 Heritable variation. The individuals in a population exhibit variation that is genetically inherited. Some traits improve the chances of an individual’s survival and reproductive success. The variation necessary for evolution by natural selection must be inherited so that it can be passed to offspring. #2 Limits on population growth, or a struggle for existence. Only so much food, water, light, growing space, and so on are available to a population, and organisms compete with one another for the limited resources available to them. Other limits on population growth include predators and diseases. #3 Differential reproductive success. Reproduction is the key to natural selection: The best-adapted individuals reproduce most successfully, whereas less fit individuals die prematurely or produce fewer or less viable offspring. The blind cave fish is a great example of USE IT OR LOSE IT evolution. The blind cave fish is so named because of its lack of eyes! Hundreds of generations of fish ago, a fish, or group of fish, swam into the deep dark caves of Mexico. This could have been in search of food or to escape predators, or even both. The fish thrived in the new, dark environment and continued to live there in the darkness generation after generation. Over time, these fish stopped developing eyes. The energy that the fish would usually have had to spend creating the anatomy needed for sight, as well as for processing visual information, was now able to be reallocated to more useful functions. These fish also developed a type of sonar to assist their navigation in the dark, as well as other heightened senses. Changes in the genes controlling development can have major effects on the appearance or structure of adult organism. Because these effects are so significant, scientists suspect that changes in developmental genes have helped bring about large-scale evolutionary transformations. Developmental changes may help explain, for example, how some hoofed mammals evolved into ocean-dwellers, how water plants invaded the land, and how small, armored invertebrates evolved wings. Genetic drift is one of the basic mechanisms of evolution. The individuals that survived and procreated did so out of PURE LUCK! The fittest individual is not necessarily the strongest, fastest, or biggest. Sexual selection is a "special case" of natural selection.